Up to 5 string per bracelet. This beautiful Fancy Bali & Sterling Silver Name Bracelet is made with 6mm Swarovski Pearls and .925 sterling silver beads smooth, corrugated and saucers. You may have up to 5 strings per adult bracelet. You may add birthstone crystal dangles and charms. Up to 9 letters are free PER STRING. 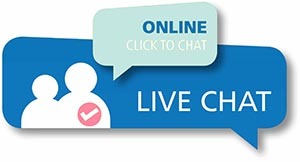 I love what I get to do every day! I love personalizeing and customizing my designs. This is a 3-string / 4 names Elegant Pearl and Sterling Silver Mother Bracelets - Cameron, Great Grandma and Jaiden. They added a GRANDMA charm and they chose one of my free beautiful sterling silver lobster claw clasps. Here are 2 bracelets for a mother and her daughter. It is the Elegant Pearl and Sterling Silver Mother Bracelet Design. Shown with Pink Jade beads on the bracelet and as dangles. They also upgraded to the Heart Lobster claw clasps to both bracelets. Here are 2 bracelets for a mother and her daughter. It is the Elegant Pearl and Sterling Silver Mother Bracelet Design. The mother's bracelet is shown with a toggle clasp and a Heart Picture Frame charm and the daughter's bracelet is shown with a Heart Lobster claw clasp with an extension. 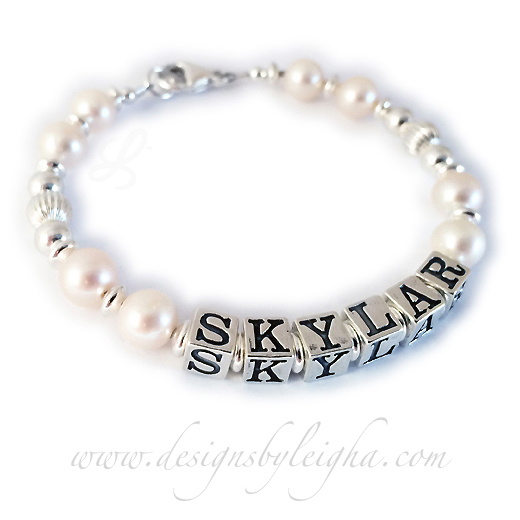 This is a 1-string / 1 name Elegant Pearl and Sterling Silver Mother Bracelet with SKYLAR. They chose one of my free sterling silver Lobster Claw clasps.